After 124 years as the Minor Counties Cricket Association, the non- first class counties will be re-branded under the National Counties Cricket Association banner. Instead of playing six three-day championship matches, the ten-team Eastern and Western Divisions will both split to two groups of five, meaning only four three-day fixtures each season. Suffolk, who have been runners-up in the Eastern Division in each of the last two seasons, will need to finish in the top five this season to compete in Division One East next year. The fifth-placed county in each regional First Division will be relegated, with the regional Division Two winners replacing them each season. 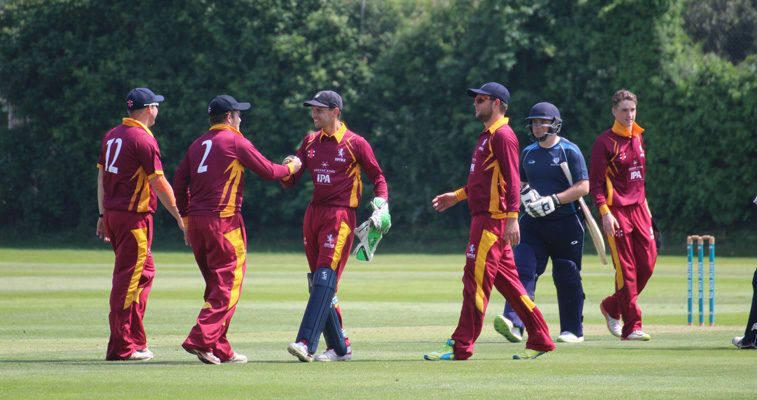 The 50-over Unicorns KO Trophy competition will revert from a straight knock-out to the old group format, guaranteeing each county at least four matches, including two at home. The group stage will be followed by quarter-finals and semi-finals. Suffolk lost at the semi-final stage last season to Devon, who went through by virtue of losing fewer wickets after the scores were tied. Sudbury wicket-keeper and opening batsman Mansfield said: “I personally think it will make for a stronger championship. “Although the number of games will be reduced, all fixtures are to be played in the school holiday period and hopefully this will lead to stronger availability. If approved, Suffolk will be lining-up against a first-class county for the first time since losing to Glamorgan by 143 runs in the Cheltenham & Gloucester Trophy at Bury St Edmunds in 2005. That was the last season that Minor Counties played in English cricket’s premier one-day competition.